Signs are the oldest form of advertising. They are a fundamental factor in trade, commerce and industry. 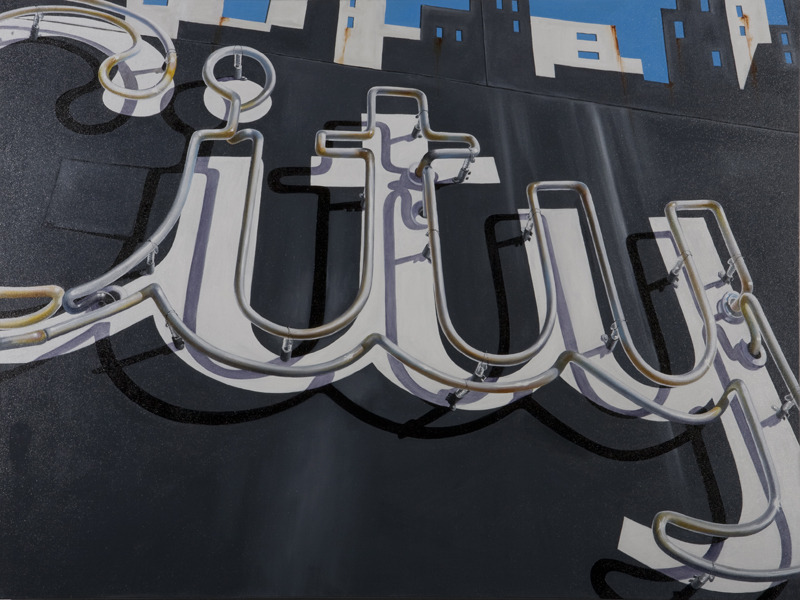 These paintings are inspired by the Neon Graveyard, a 3-acre outdoor collection of old Las Vegas signs. Craftsmanship, color, rust, design and typography form a landscape of American artifacts.